What happens when top engineers spend years consulting cinematographers and creating breakthroughs in sensors, image processors and recording media? 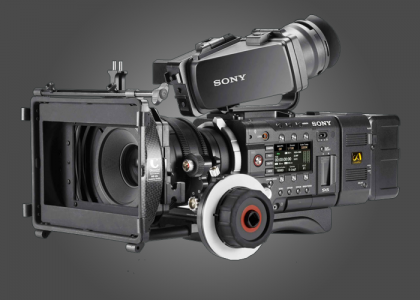 The Sony F55. Here is a camera engineered to reward its owners now and far into the future. The Sony 4K image sensor incorporates a revolutionary electronic global shutter. You get superb dynamic range, the widest color gamut, and pristine image quality whether you shoot in HD, 2K or 4K. With the optional AXS-R5 recorder, you can even make the jump to incredibly precise 16-bit Linear RAW in both 2K and 4K.